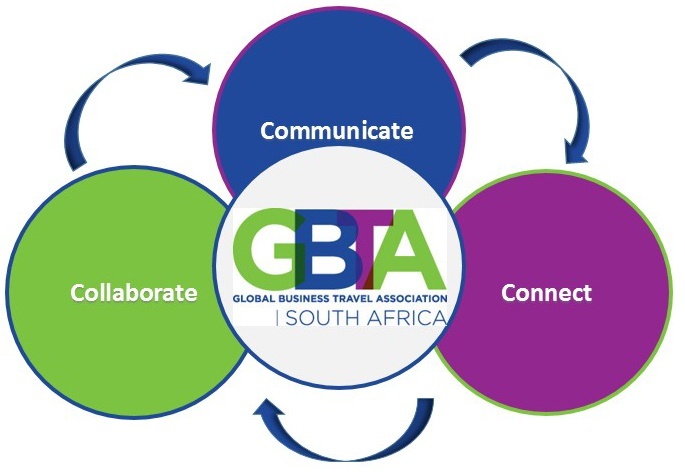 At the GBTA Southern Africa Conference 2018 the Board declared their commitment to connect, communicate and collaborate with the travel industry professionals. The world has changed. Gone are the days when businesses could dominate competition and control markets, technology, or information. As businesses become increasingly global, connection, communication, and collaboration are critical to success in an information-abundant world. GBTA Southern Africa would like to encourage the use information and knowledge to understand and solve the travel industries requirements that significantly vary based on geography, culture, and economic situations. Connecting is all about understanding the requirements, determining the most effective strategy and then finding the right partner to help you. Developing purposeful partnerships and relationships that are based on mutual benefits and trust are the keys. Communication is the vehicle for establishing information flow. Disclosing your needs, providing others with feedback, listening to their needs and feedback not only build trust but also set the stage for having a clear understanding of how you can help each other be successful, which leads to collaboration. Achieving collaboration is the result of connecting and communicating. True collaboration happens when people feel safe to share information and ideas. Join GBTA Southern Africa in 2019 at our events which focus on providing support, information and opportunities to enable our members to achieve best practice in managing travel spend effectively and to maximise the profitability of their organisation. Our events will emphasize the key principles to communicate, connect and collaborate.